The lavender lemon drop recipe was inspired by one from Tru Organic Vodka, the maker of a nice organic lemon vodka. 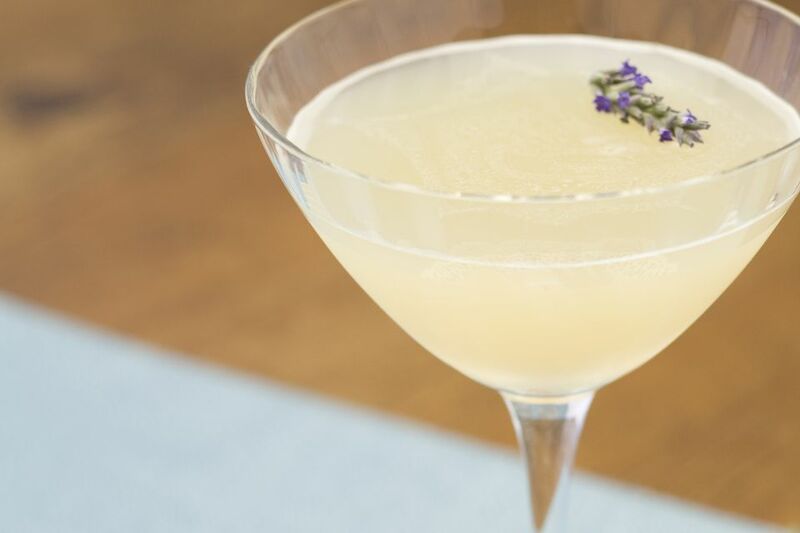 It is a quick twist on the popular lemon drop martini and you'll love how the floral accent of lavender plays off the tart vodka base. With this recipe, lavender buds are gently muddled to release their wonderful essence into a simple syrup. Another option is to use a lavender-infused simple syrup, which is very easy to make and nice to have in stock for spring and summer cocktails. No matter which way you make it, this drink is a fabulous flavor experience. The lavender adds depth and counteracts the sour of the lemon juice just enough to make a lovely little drink. You'll definitely want to share it with friends. In a cocktail shaker, lightly muddle the lavender and simple syrup. Add the vodka and lemon juice, and fill the shaker with ice. If you enjoy a DIY project, consider making your own lemon vodka at home. It's as easy as any other vodka infusion and lets you customize the taste to suit your personal preference. You can choose your favorite vodka as a base and if you want to go organic it's easy. Simply choose organic lemons and pick up an organic vodka. TRU makes an unflavored option and there are other brands such as Prairie Organic Vodka and Square Organic Vodka available. To make the lemon vodka, rinse 3 to 4 medium-sized lemons thoroughly in water and cut them into quarters. Place them in a 1-quart Mason jar (or a similar wide-mouthed jar) and pour in a 750ml bottle (about 3 cups) vodka. Secure the lid, shake well, and store in a cool, dark place. Give the infusion a good shake once a day and taste it after 1 week. You should begin to get a hint of lemon, but it will get stronger over time and you may want to let it infuse for up to 3 weeks. Taste it every few days to see how it's progressing and strain out the lemons when it reaches your desired level of lemony flavor. Bottle it in the original vodka bottle and enjoy. How Strong Is the Lavender Lemon Drop? The majority of flavored vodkas are bottled at 35 percent ABV (70 proof), so that's a good benchmark for estimating the alcohol content of this fun martini. Since there's a good proportion of non-alcoholic mixers to liquor, it's only about 17 percent ABV (34 proof). In the world of potent martinis, it's one of the lightest and that's why it's great for casual entertaining.